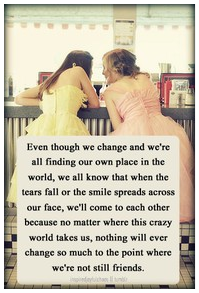 My darling Shayla e-mailed me this 50s style photo and quote. I know it will ring true to more people than just me. Sappy? Oh yeah. Do I care? Eh, I'm in a sappy mood today, so heck no.